As always the excitement comes from the material that makes new impossible products possible. 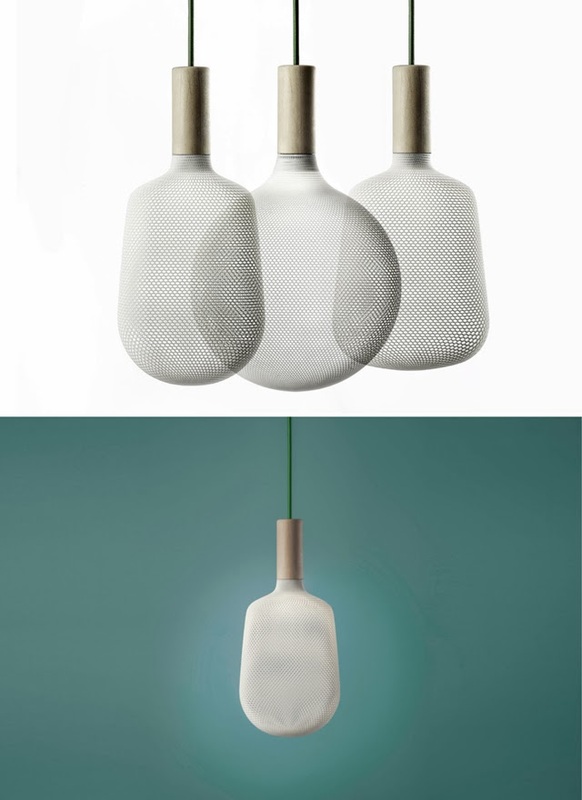 3D technology is giving more freedom for designers to escape the restrictions of existing manufacturing methods, that was a starting point for ‘Afillia’, a series of 3D printed polyamide lighting pendants by Alessandro Zambelli for .exnovo. The base material is swiss pine, that is handcrafted according to old traditions in the region, and it locks onto the 3D printed nylon light diffuser with a sintered polyamide to create delicate light patterns.